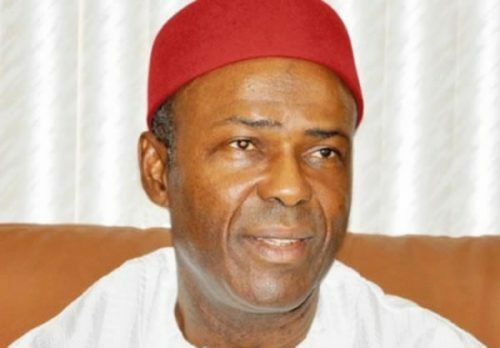 The Minister of Science and Technology, Dr Ogbonnaya Onu, has said that the Federal Government is determined to promote made-in-Nigeria products and give preference to Nigerian professionals in the execution of all government projects in a decisive move to grow the economy. The minister stated this at the unveiling of a polyurethane laboratory donated to the University of Lagos by Vitafoam. He commended Vitafoam for the gesture, saying that it was done in the spirit of nation building and would serve as a link between the academia and industrial sector. He said researches from the laboratory would hopefully be used to solve problems in the manufacturing sector. Onu pointed out that for the first time in the history of Nigeria, the Federal Government had issued Executive Order 5 which made it mandatory for all government parastatals and agencies to patronise made-in-Nigeria products without compromising standards. Onu lamented that the bane of Nigeria’s economy was over-dependence on imported goods, saying that Nigeria had over the years relied on income from commodity products, the prices of which were externally determined. In his keynote address, the Group Managing Director and Chief Executive Officer, Vitafoam, Mr Taiwo Adeniyi, explained that the donation of the laboratory to the university was in fulfilment of the promise made by the Chairman of Vitafoam Nigeria Plc, Dr Dele Makanjuola, at the 2016 scientific conference of the university. He said, “We make bold to say that the equipment in this polyurethane laboratory is at par with any similar laboratory anywhere in the world. The choice of polyurethane laboratory as a Corporate Social Responsibility project was not merely for Vitafoam’s interest in the polyurethane industry; it was to honour and promote the efforts of Nigerian researchers and ensure their work is able to both compete well on the global stage and find relevance in industry. “Among the key government agencies and parastatals that will find use for the services of this polyurethane laboratory are the Standards Organisation of Nigeria, the Nigerian Automotive Design and Development Council, the Federal Ministry of Environment, and the National Agency for Food and Drugs Administration and Control. Earlier in his welcome address, the Vice Chancellor, University of Lagos, Prof. Oluwatoyin Ogundipe, commended Vitafoam for the donation and pledged that the laboratory would be fully utilised by the students as a major research instrument for other Nigerians and international community.